Bilyuin Pool was our first nights stop on our 3 month trip to the Northern Territory. You’ll find it about 860km north of Perth, or 84km north of Meekatharra. 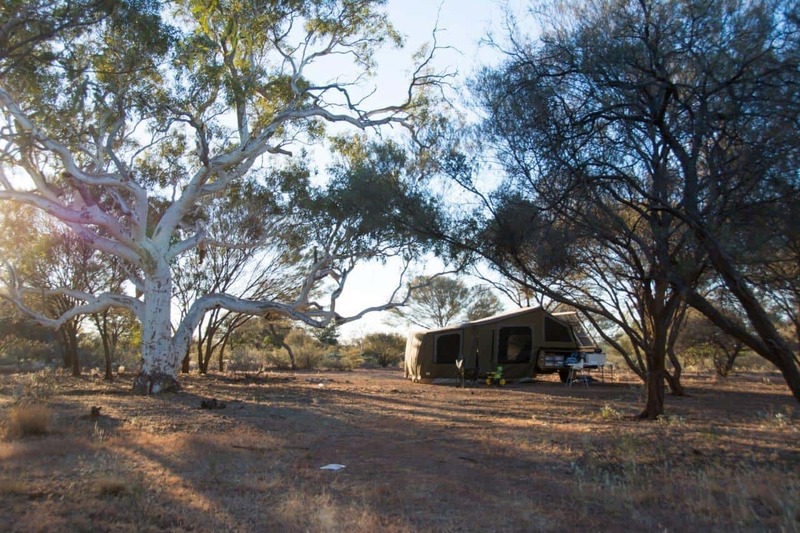 Its about 15km off the bitumen road, and a great place to stop for the night. From there, we went to Kalgan’s Pool in Newman and then Cape Keraudren. Bilyuin Pool is popular because you can stop without having to pay a cent. Look after places like this, and they will still be open next time you travel past. 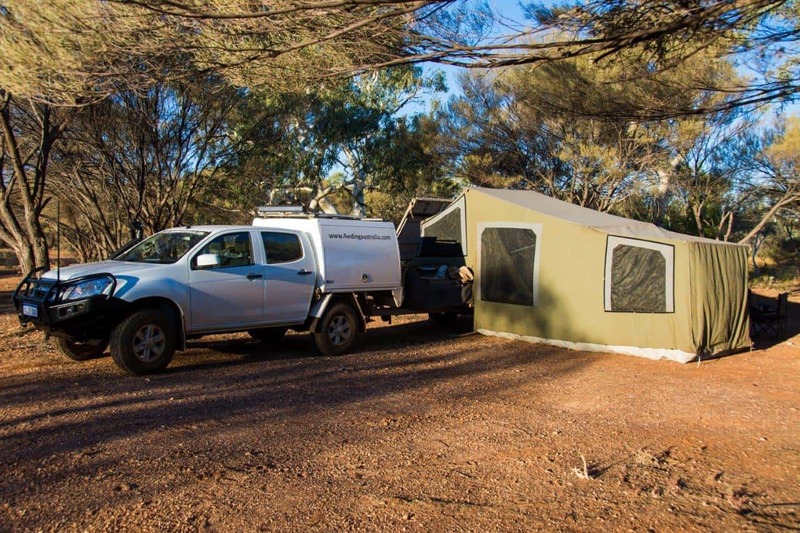 There’s no facilities, just good old Australian bush camping. The water level varies considerably, and we were a little disappointed to see that it was fairly low when visiting in May. By the looks of the equipment spread around the place the pool is used for taking water, perhaps to spray the haul roads. However, I’ve seen plenty of photos of the water level much higher, and it looks fantastic. 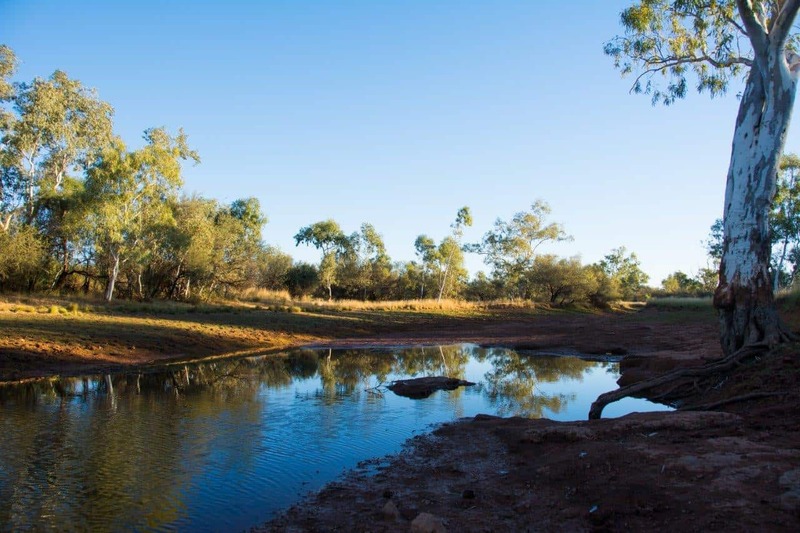 Beyond that though, its a nice water hole with plenty of bird life and a fair bit of room to spread out. 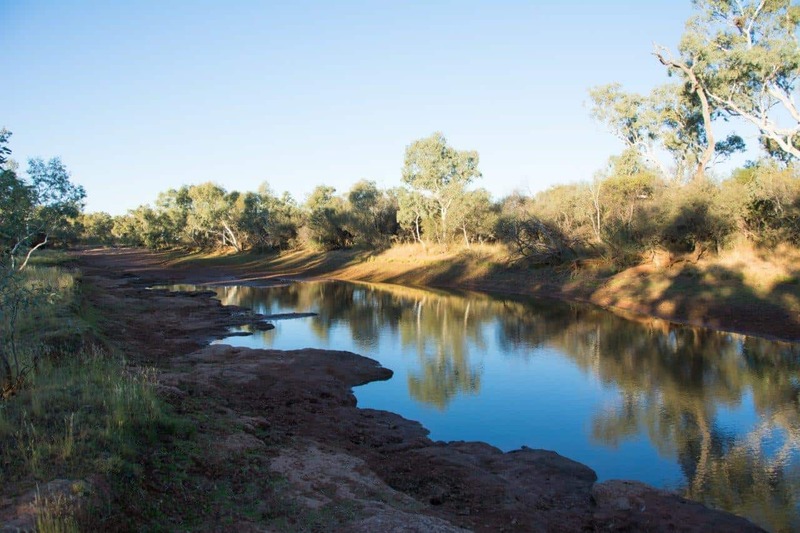 We travelled a big loop on the way in and ended up almost going back to where we started; the best way to get into Bilyuin Pool is off the main highway and onto the Ashburton Downs-Meekatharra road. Don’t trust Google to know where you need to turn; stick with something better known like Hema or Ozi Explorer. Drive up the big gravel road for 15km until you see the pool on the left hand side, and make a turn. There’s more room on the northern side, but it did look like people camped on the southern end too. Have you stayed at Bilyuin Pool? What did you think of it? I’d love to go back when the water levels are higher!